The Glenmalure Lodge is situated in the heart of the longest glacial valley in Ireland. 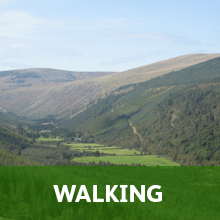 It makes the perfect base for exploring the rugged beauty of Wicklow, also known as the ‘Garden County of Ireland’. 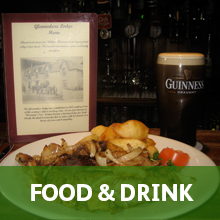 The Glenmalure Lodge is a friendly, family run business with a cosy pub atmosphere and has lots of old memorabilia, paying homage to the area’s rich and colourful history. Open fires and great food with plenty of good comfortable seating, add to its interesting character and old world charm. 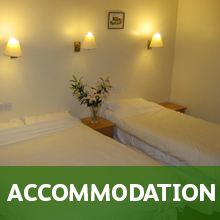 Fill out our accommodation enquiry form now to arrange your stay with us! We have stayed here many times and can highly recommend the accommodation, staff and the welcome we receive every time we visit. The bar is warm and lively, and the view of the Wicklow mountains is stunning. A fabulous place to stay.. This is one of those personal places where staff genuinely care about what they do and the people they look after. Glenmalure is a quaint 1800’s Inn with good sized rooms and well appointed unsuites. The setting is picturesque with very pleasant views from each room, and the sounds of the the river and waterfall nearby will have off to sleep in no time. 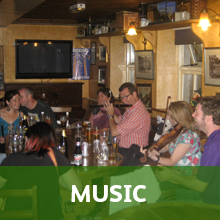 But before you do, the experience in their period bar and restaurant is a must, including some excellent traditional Irish music. Put this one on your bucket list!. Drove up to Glenmalure Lodge yesterday evening to check out the venue as my friend has this place booked for a gathering for his 40th birthday. This place is only gorgeous. One of the best hidden gems in the Wicklow mountains. Scenery, waterfalls, all fabulous. As for the bar itself. The food was just excellent. Compliments to all the chefs that work there. The owner makes you feel so at home. Fantastic atmosphere and staff..